Fu Chan F&B Group is a private limited company. This is only one of their outlets in Singapore out of a total of 19 Coffeeshops islandwide. 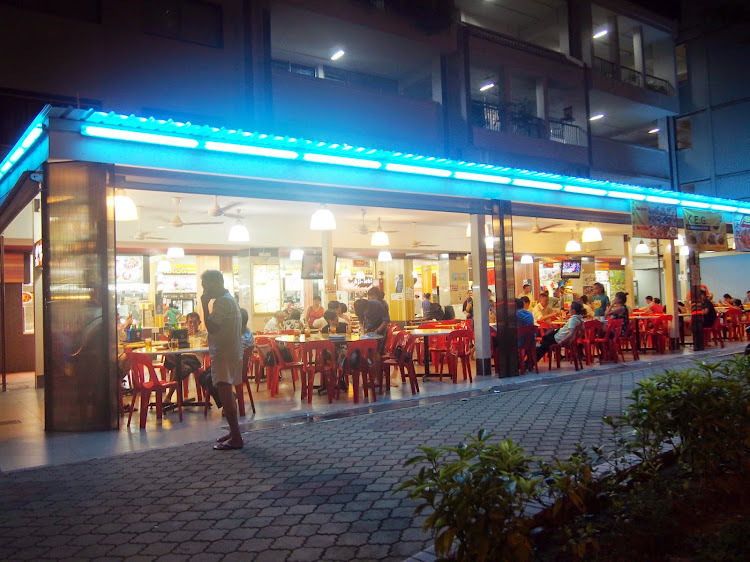 The company was first established in the year 1999, thus this outlet at Tampines was established in the year 2011 and it runs 24 hours daily. It was was recently renovated with new fixtures to enhance customer's dining experience at the Coffeeshop. The Coffeeshop also provides Football Screening for all customers to enjoy while having their meal. 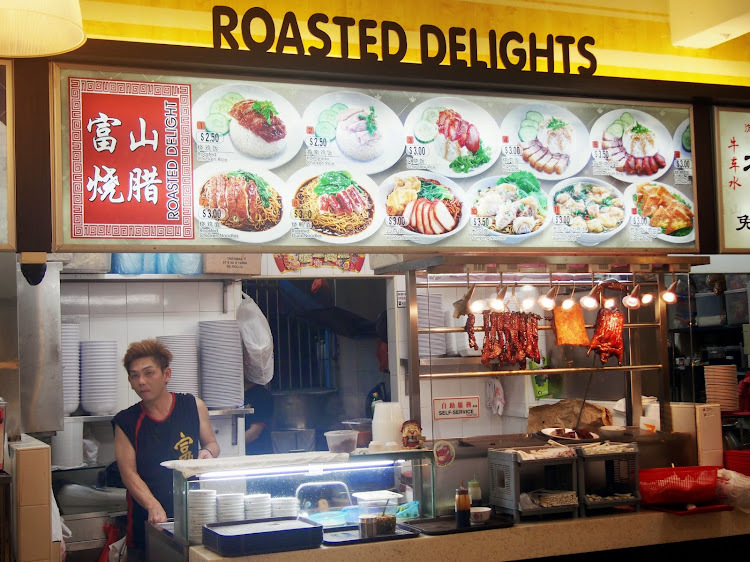 For $3.50 you can get a delicious plate of Char Siew Rice or Roasted Pork Rice. They given me a platter set which consisted of Char Siew Meat and also slices of fried pork. 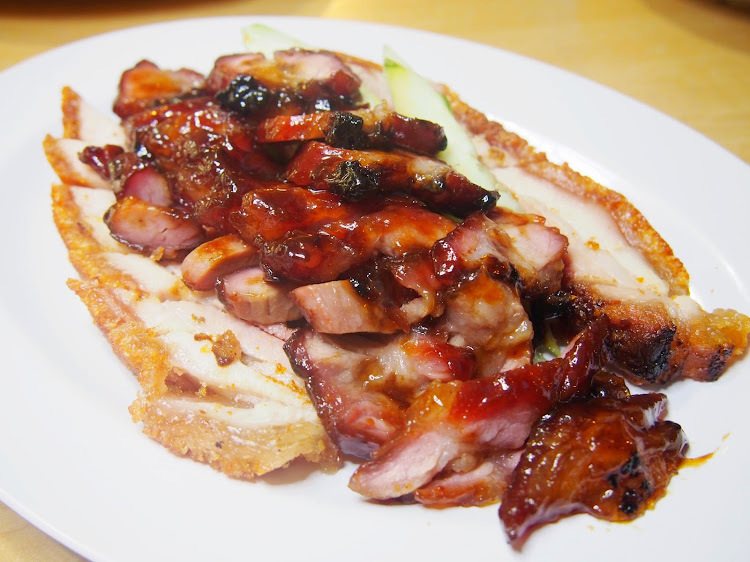 I personally find the char siew favourable as the meat was tender and delectable. Topped with the fragrant sweet sauce made the taste even better. 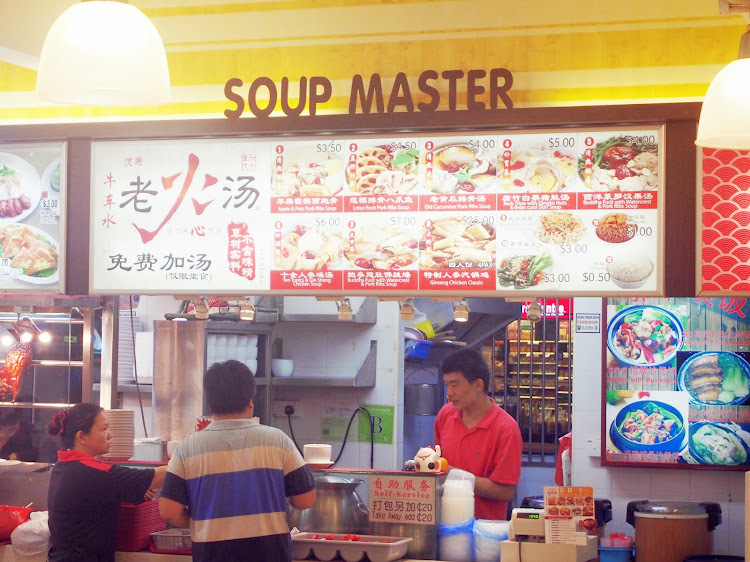 The stall also sells Chicken Rice, Wonton Noodles and also Roasted Chicken Rice. The size that we ordered was small and it can be shared with 2-3 person. 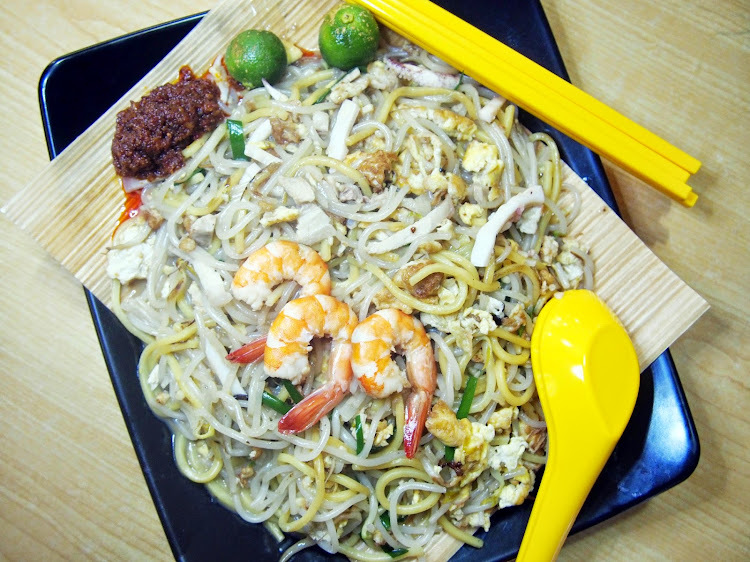 $3.50 for a plate of hokkien mee filled with hearty amount of sotongs, prawns, vegetables and meat. Worth the money to buy and share with your friends. Their hokkien mee stall is also one of the popular stalls at Fu Chan, so do give a it a try! Also do add their signature chili sauce as it would enhance the taste better. If you are craving for something light especially when you are sick and do not want to have something heavy, then you should go for the soup option sold by Soup Master. I actually recognize this stall name and I've seen them at several coffeshops. 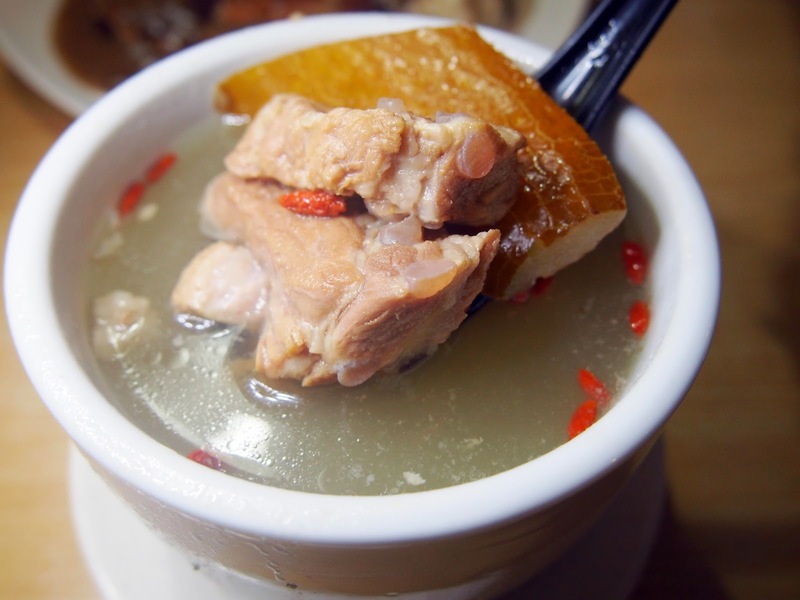 I love their apple pork-rib soup (only sold at certain places). However, the old cucumber soup tasted rather bland and it was lack of it's flavour but if you dip inside the soup and you will be able to find herbal ingredients which is beneficial for the body. One of my favourite dishes among all the food I tried. 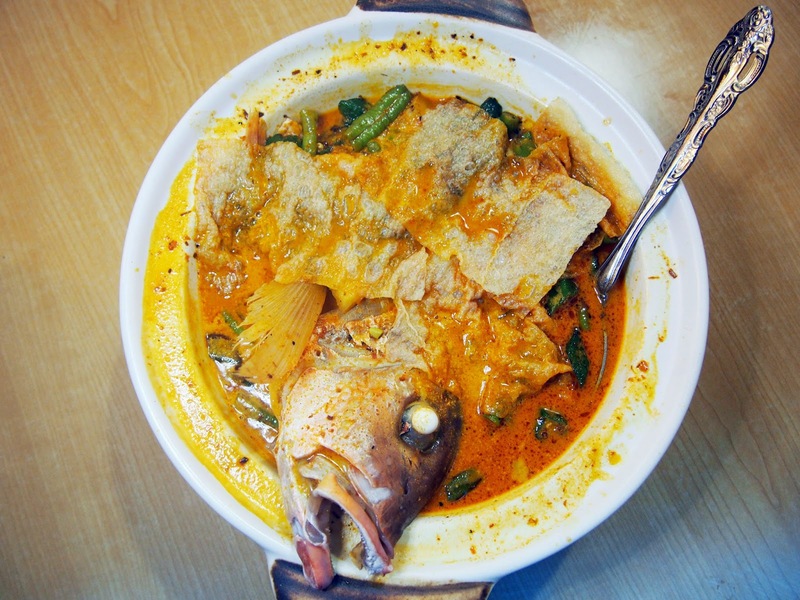 It is not from the zi-char stall but the curry fish head soup is actually from the Mixed Vege Stall. 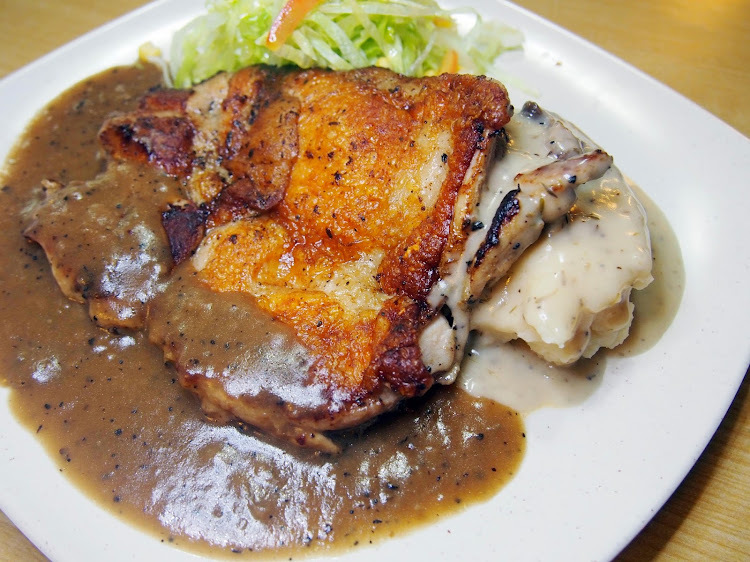 An average curry clay-pot fish head would cost you $18.00 - $25.00 and it's rare to find a place in Tampines where they sell it pocket-friendly price for only $16.00. There was this unique taste of the soup that will catch your tastebuds! Level of spiciness can be improved as it was only a 2/5 for me! The fish was soft and tender and there were generous servings of vegetables. 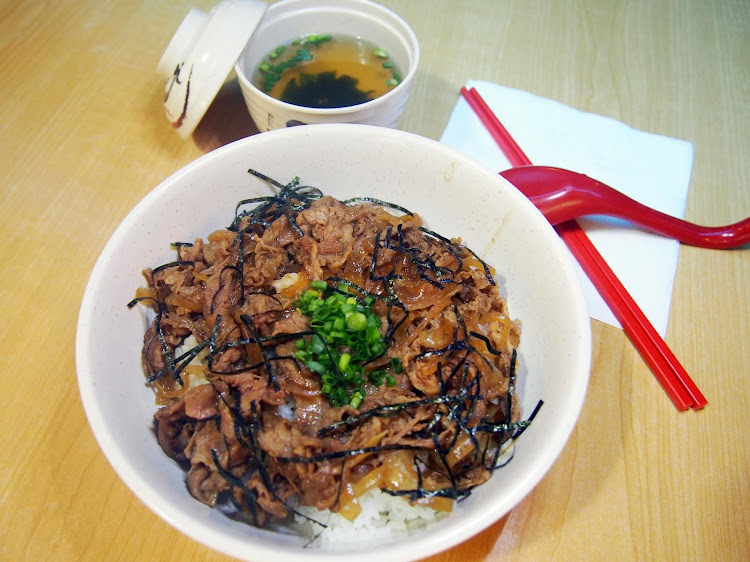 When you order the beef bowl, it comes with a bowl of Japanese miso soup. It's a little costly but the portion given is generous especially the rice. Meat given was at a decent amount but however there is still room for improvement for the dish. 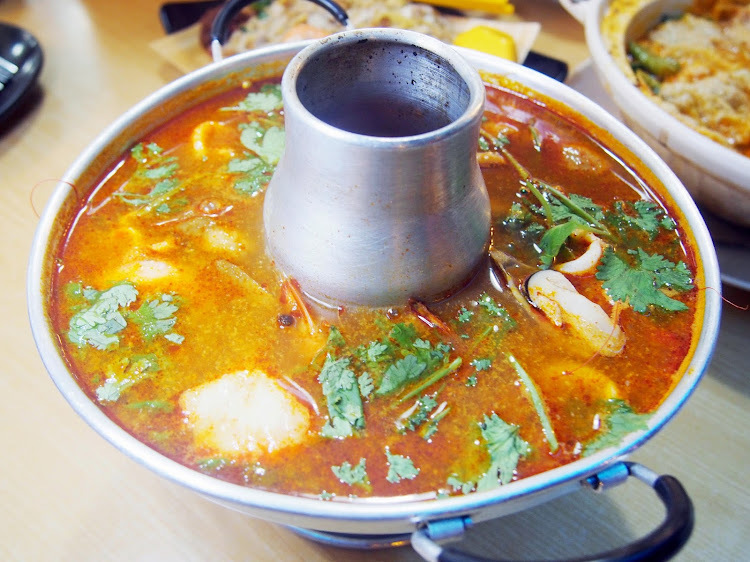 If you are a spicy eater, you should go for their Tom Yum Soup from the Thai Food stall! The kick of the spiciness went up to my nose. There are two options to choose from; such as the clear tom-yum soup or red soup base (both are equally spicy so it doesn't make a big difference). The larger size will cost you $21.90 and it can be shared among 4-5 people. Remember to have a drink beside you incase if you cannot tahan the spiciness! Thumbs Up! 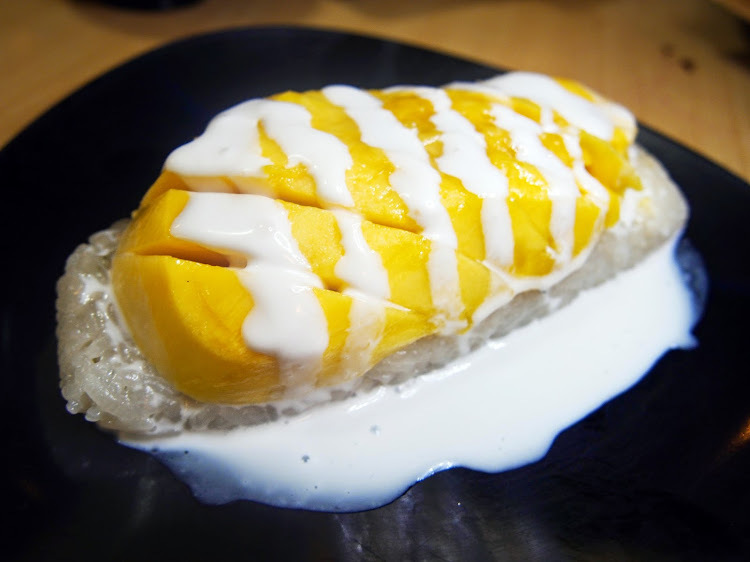 If your tummy still have room for desserts, you can try their mango sticky rice from the Thai Food Stall. The sticky rice is served warm with sweet mango slices topped with sweet coconut sauce. The taste was inviting and appetizing but not the best I've tried so far! 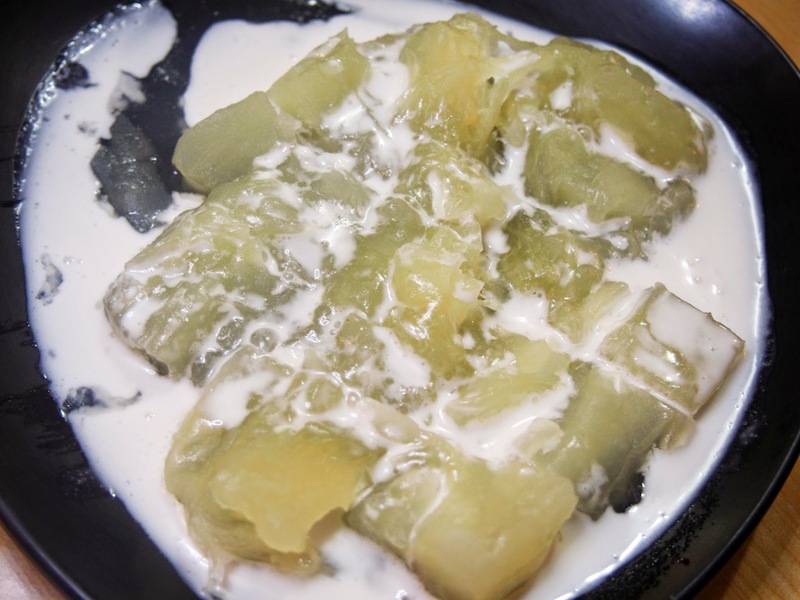 You can also try the mouth-watering tapioca served with hot coconut milk. They also have Red Ruby dessert (Chestnut with Coconut Milk) as well if you feel like having a watery dessert to kill the heat especially after having a spicy meal.